See which agencies won (and lost) the new-business game last month. 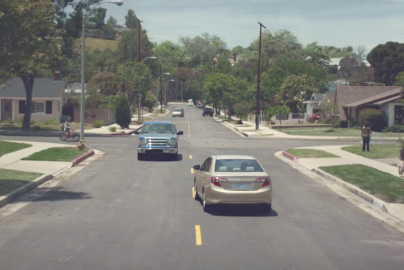 BBDO continued to lead the way among creative agencies in August, courtesy of the AT&T and DirecTV wins. Sister agency DDB jumps into 2nd, taking the lead for talent for the new McDonald’s startup agency within Omnicom. Interpublic Group's Grey and independent Wieden + Kennedy won UK retailers Marks & Spencer and Sainsbury’s, respectively. Looking to media agencies, Omnicom led the way with PHD and Hearts & Science, with Zenith the fastest mover this month, securing the global Coty business. In the US, DDB leapt nine places to 2nd by virtue of the McDonald’s win, with sister agency TBWA moving into the top 20 off the back of the Intel B2B win. Among media agencies, both Omnicom agencies also shared the top two places, with Publicis Groupe's Havas picking up more work from LG and Carat claiming the Diageo business. 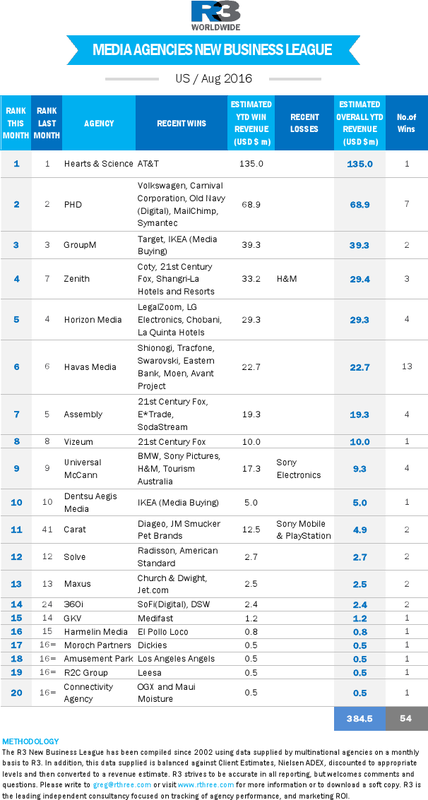 DDB left nine places to 2nd on the US league by virtue of the McDonald’s win, with sister agency TBWA moving into the top 20 off the back of the Intel B2B win. Amongst media agencies, both Omnicom agencies also shared the top two places, with Havas picking up more work from LG and Carat claiming the Diageo business.